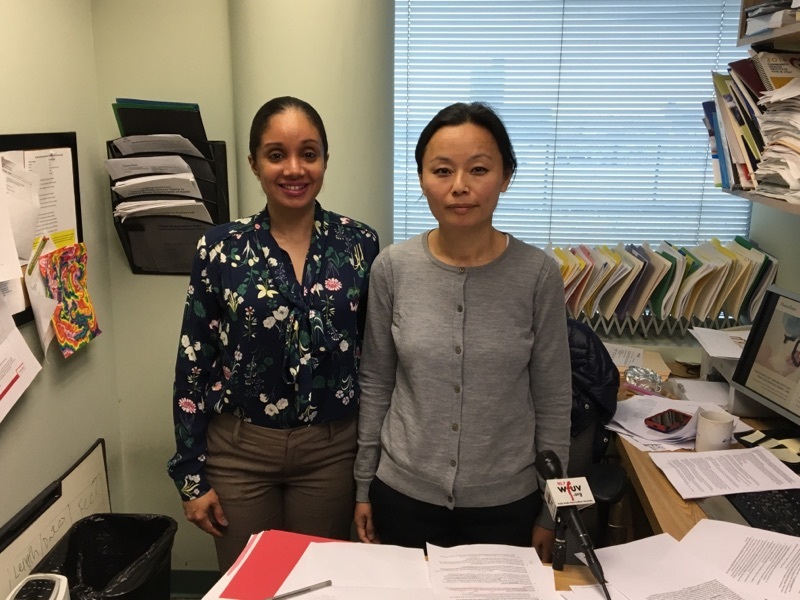 Damaris Perez Agu (l), grants and program developer, and Tashi Chodon (r), director of programs, work at Bronx Community Health Network, aiming to offer greater access to primary healthcare for low-income residents. The Norwood News and WFUV continue their five-part series profiling ongoing challenges impacting the Bronx. 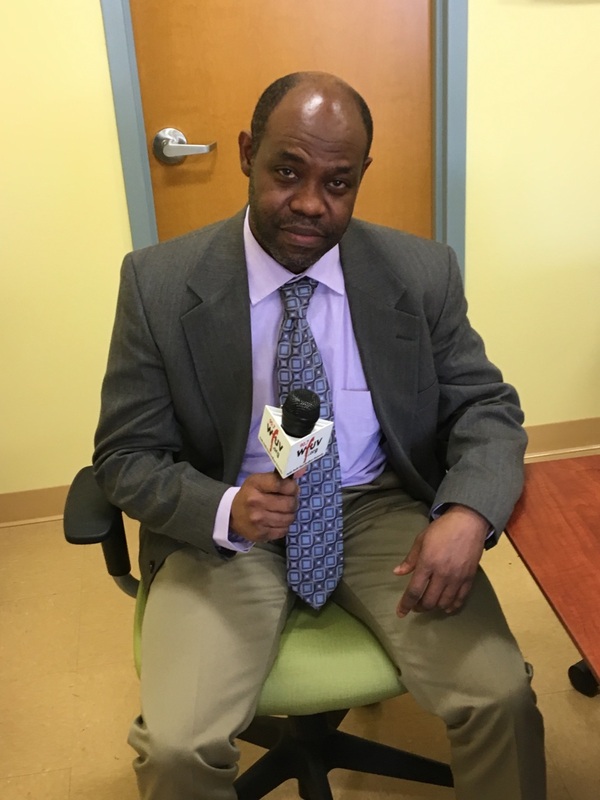 When Dr. Eric Gayle, a family physician, began treating patients in the Bronx 20 years ago, assessing a patient’s ability to comprehend health information, known as health literacy, wasn’t part of his initial health assessment. That changed after a surprising revelation made by one of his long-standing patients. Despite his patient telling him she understood how to read directions he wrote on the back of a prescription, Dr. Gayle soon learned he was misled. His patient didn’t know how to read. “I was stunned,” says Dr. Gayle. “I had not paid attention to it, I hadn’t given thought to it being the reason she wasn’t getting any better.” Dr. Gayle would later refine his approach to ensure patients understand their health status beyond literary comprehension, but also understanding their prognosis and diagnosis. To do this, Dr. Gayle says he “uses validated tools such as asking patients to read questions or words in order to determine their level of education.” Dr. Gayle says his observations have altered how “we as physicians discuss medication with our patients, whether that be the language we use or by including props to show when medication should be taken.” He arranges for patients unable to read to meet with a social worker to locate available community-based services to improve their literacy skills. Dr. Gayle is not alone. Doctors and patients surveyed in a comprehensive 2014 report by Advocate Community Providers, New York Community Preferred Providers found health literacy as an important factor to positive health outcomes. But barriers to basic health literacy intertwine with educational attainment, which can present challenges to portions of the Bronx. Without the latter, understanding one’s health outcomes can be very difficult. A 2013 report by the New York State Department of Health (NYSDOH) that evaluated the state of emergency rooms found 72 percent of ER visits were considered “potentially preventable” had patients gained “access to high quality of care settings.” Alternatives to emergency room visits include urgent care clinics, which address health conditions that don’t rise to the level of an emergency room visit. A 2014 report by the NYSDOH found the Bronx with the highest emergency room visits among residents who use Medicaid. A high concentration of repeat visitors live within the Fordham-Bronx Park neighborhoods, the southern end of the Grand Concourse towards the South Bronx. Those areas are typically deemed low-income, with lower levels of educational attainment. The Bronx continues to rank as the unhealthiest county out of New York State’s 62 counties, according to a report published by the University of Wisconsin and the Robert Wood Johnson Foundation. According to the study, Bronx residents have a shorter life expectancy than in any other county in New York City or on Long Island, contributing to the highest rates of asthma, heart disease and diabetes. The Twitter campaign, #Not62, was started by the Office of the Bronx Borough President in response to the report, aiming to improve health outcomes for Bronx residents by 2020 through positive health behaviors, access to clinical care, social/economic factors, and the physical environment. Tashi Chodon, director of programs at BCHN, says social determinants of health go beyond the clinical aspect of health care and in order to create a healthier society it is critical to address risk factors that affect health conditions such as housing, immigration issues, eating habits and transportation issues. Unhealthy behaviors contribute to these conditions. Residents should consider reading food labels and understand the benefit of choosing water over sugar-sweetened beverages, says Chodon.